Very quickly, I just wanna share this fun photo I came across the other night. 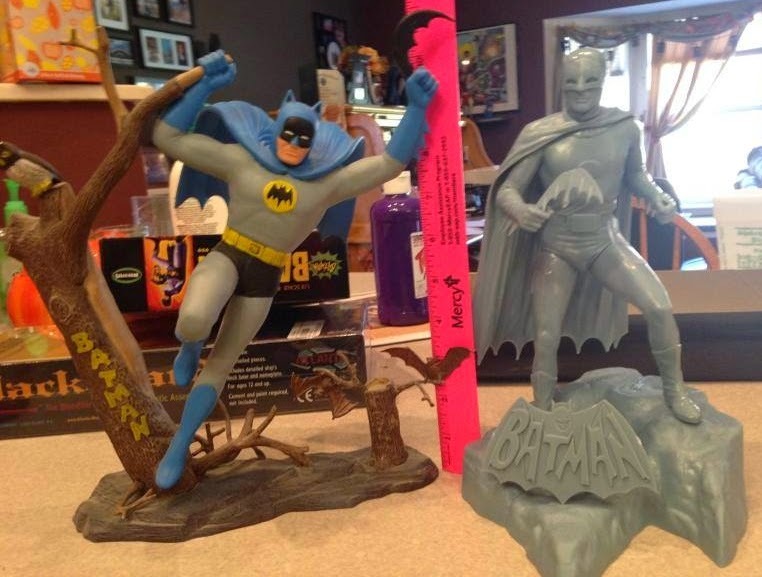 This is a Model kit Builder's photo showing the difference between the older vintage 1970's BATMAN Aurora Model Kit with the newer (just released) 2014 CLASSIC BATMAN by Moebius Models! Having a hard time finding the MOEBIUS MODEL? just CLICK HERE!